The Kick12 represents a new and more powerful amplifier design for keyboardists, drummers, and those needing a personal PA. You get 400 Watts of peak power in a true bi-amped design with a custom-tuned electronic crossover, an integrated four-channel mixer and built-in Alesis effects. Just like Alto Professional's industry-leading Truesonic loudspeakers, the Kick12 is a fine-tuned performance-hungry machine. Each component has been optimized for maximum efficiency, giving you an amplifier that sounds amazing, is lightweight, and has everything you need without the filler. 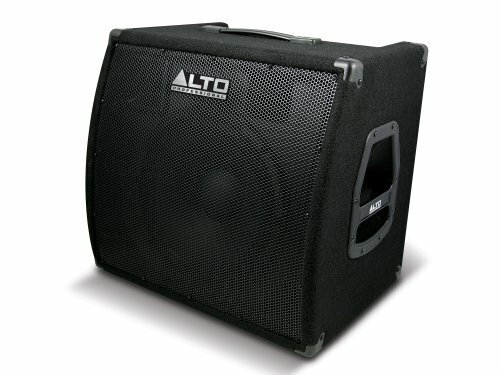 Professional electronic instrument amplifier with 12-inch speaker; optimized for keyboards, electronic percussion and small PA use.